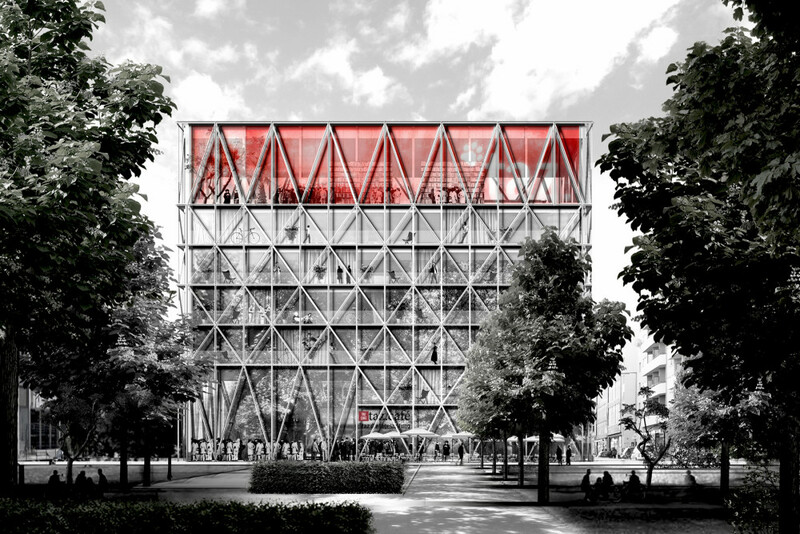 E2A Architects of Zurich won the international competition for the new headquarters of the Berlin based newspaper TAZ. The project is being led by André Albuquerque Passos MArch ’12. For the first phase, E2A was selected among 312 firms to be on a group of 25 offices for the second phase of the proposal submission. This group of 25 offices included some of the world’s leading practices (BIG, Staab, Max Dudler, etc). The site is on one of the most important axis of Berlin, the Friedrichstrasse, and is right next to the Jewish Museum designed by Daniel Libeskind. Read more about the competition here.